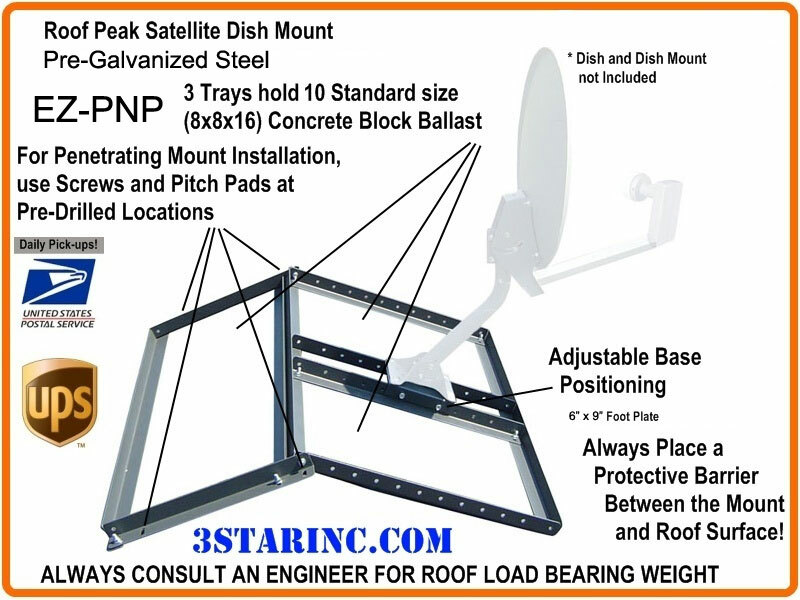 Non-Penetrating DBS/ DSS Pitched Roof Mount was added to your Shopping Cart. 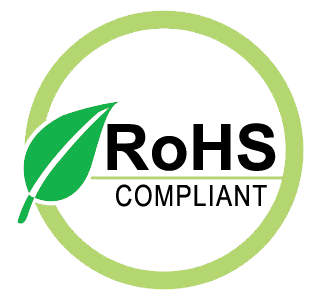 is constructed of Pre-Galvanized Steel and uses standard concrete blocks to anchor. Base Plate Footprint is 9 x 6 inches, that Accommodates a wider Ranger of Foot-Plates. For use with DBS, Antenna and Satellite Internet systems where Penetration of the Roof or Mounting with Hardware is NOT an Option! (Dish Not Included). As with all 2nd source hardware, minor Field drilling may be required to attach in your particular installation scenario. This Non-Penetrating Mount Series from Easy UP is constructed with Heavy Duty steel construction that blends well with residential environments. As with all Ballast mounts, Structural Engineering consultations are recommended for all Roof Applications. This Non-Penetrating Pitched Roof Mounts is constructed of Pre-Galvanized Steel and uses standard concrete blocks . Accommodates a wider range off Foot-plates for use to mount AU9S Dish, DirecTV 5 LNB Dish AU9 Slimline, WildBlue, SuperDISH, DirecTV Ka/Ku (HD Dishes), Satellite Dishes compatible with the SuperDMount, DirecTV AT9, DBS Direct Broadcast Satellite and FTA Free to Air using a 2.00 inch OD Outside Diameter Mounting Pipe. In addition, it can be used in mounting some smaller Microwave PCS, Cellular, Broadband Wireless, Wireless Internet and Two Way Antennas compatible with 2 inch OD Pipe Mounting. I have enjoyed Installing this product line for Dish applications from Business and Internet on the tops of tall buildings to HD TV and zillions of channels for in-home use. And as with all items in this Product Line, Screws and Pitch Pads are included for Bolt-down versus Ballast applications. The Length of the mast is 30 inches based on engineering that incorporates consideration for typical Satellite Antenna Wind-load versus the Ballast that would keep either on target with minimal deviation and flex. As with all Ballast mounts, Structural Engineering consultations are recommended for all Roof Applications. This new non-penetrating peak roof mount is a great solution for broadband antennas and satellite TV dishes. The adjustable mounting plate can be center mounted or to one side as needed to accommodate your satellite TV dish mounts (not included). The 1LG mount with a base and 1-1/4” mounting tube is an option for the NPPK.